Marxism is a theory which originated in the context of nineteenth-century industrialised Europe. Despite its European origins, Marxism has actually found greatest significance as a doctrine for change in the context of the underdeveloped peasant societies of Asia. This paradox has only been resolved through adaptation of Marxism to suit the specific features of particular Asian societies. There has consequently been a differentiation of Marxism along national lines. 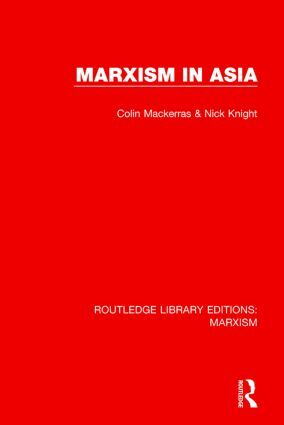 In this book, first published in 1985, the theoretical and practical implications for this national differentiation of a ‘universal’ (European) theory are explored, followed by a more detailed analysis of the manner in which Marxism has developed during different historical periods in particular Asian contexts.